The D.C. Taxicab Commission is cracking down on Uber drivers for accepting street hails, but Uber says the commission is abusing its power. Commission spokesman Neville Waters says inspectors issued 11 tickets Wednesday evening in a four-hour period to Uber drivers. The tickets were issued outside the Fannie Mae headquarters building on Wisconsin Avenue. Waters says inspectors were responding to complaints from a property manager about for-hire vehicles slowing traffic. Uber spokesman Taylor Bennett denied the charge and called the incident a sting operation. 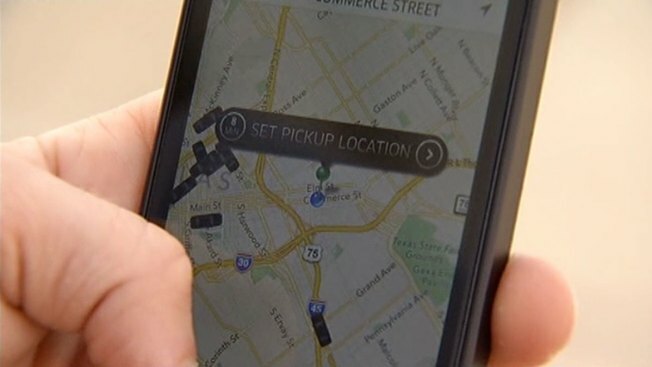 He says Uber drivers were operating normally and accepting rides through the company's mobile app. He says the taxi commission is harassing drivers who are trying to make a living. One driver says he was given three fines totaling $2,100 for various taxi-related violations.